The Eastern Monarch Butterfly Mexico Winter Count for 2015 was just released. Numbers are up slightly year over year but much progress is needed to improve upon this mild success. The great news is that the population seems to not have gotten smaller. Mild weather and Spring rains could make for a great year for the monarchs in 2015. The Western Monarch Butterfly California Count for 2015 was Released This Month. The Western monarch butterfly population has been stable at a mower number for over a decade. A modest increase over last years count is promising. Much more can be done to help them in 2015. 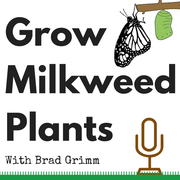 Getting an education about native milkweed for your area is a good start. Monarchs will benefit from having milkweed plants on their migration route thru your yard this summer. Monarch butterflies love nectar. Nectar plants provide energy for adult butterflies. As you may know butterflies are amazing because they go thru metamorphosis. Metamorphosis is a stage in the life of a butterfly that changes a walking caterpillar into a flying butterfly. Adult monarchs need a food source for their caterpillars so that their caterpillars can become butterflies and the migration may continue. To find one of the numerous varieties of native milkweed near you you may visit the Clickable Milkweed Map of the USA. Native milkweed (Asclepias) comes in many varieties. It is well adjusted for you climate and will grow back year after year.